New Delhi: In a fresh blow to the Modi government, a report Monday suggested that the deal for 36 Rafale fighter jets involved “major and unprecedented concessions” from the Centre, with critical provisions for anti-corruption penalties (integrity pact) and payments through an escrow account “dropped days” before the signing of the inter-governmental agreement (IGA). In its report, The Hindu said that high-level political intervention meant that standard Defence Procurement Procedure clauses on “penalty for use of undue influence, integrity pact, agents/agency commission, and access to company accounts” — of Dassault Aviation and MBDA France — were dropped by the Indian government in the supply protocols. “While the IGA is the overarching agreement between the governments of India and France, the supply protocols are to be executed by Dassault and MBDA, the two private companies,” said the report. The report said this has “significant political implications” for the Modi government with its avowed anti-corruption stance and promised action against alleged corruption in defence deals struck during the United Progressive Alliance government. The Modi government hasn’t yet responded to the latest development. However, sources said IGAs don’t come with integrity pacts and added that the Defence Procurement Procedure has separate provisions for IGAs. They referred to paragraph 71&72 of Defence Procurement Procedure, 2013, which deals with the IGA. The UPA-era document says that the government is authorised to not classically follow “standard procurement procedure” and the “standard contract document” when required and procurements in such cases would be based on “mutually agreed provisions” by governments of both countries. Sources said this allows the government to take decisions keeping the interest of the country and security in mind. They also said that all the decisions were taken by a majority of the Indian Negotiating Team. The latest political controversy over the Rafale issue erupted Friday after the news daily reported the PMO’s alleged interference in the deal. Sources said IGAs don’t come with anti-corruption penalties as it is entered between two governments. The integrity pact allows “access to company accounts” in the supply protocols, said sources. However, under IGA, the Indian government cannot access the government books of other countries as it won’t allow any other country to access its own books. Sources pointed out that deals made under the Foreign Military Sales (FMS) route with the US, and past deals with Russia on the basis of IGA, did not come with integrity pacts. In the case of the FMS route, the contract is signed by India with the US government and not the companies involved. Incidentally, the Russians had withdrawn from the VVIP chopper bid after India insisted on an integrity pact. 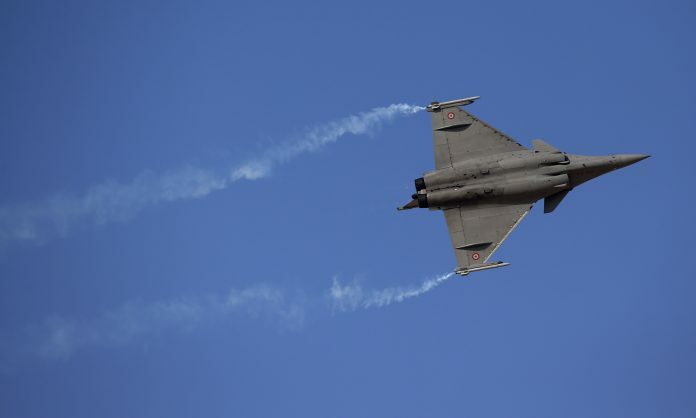 Asked about how payments are made under the Rafale deal, sources said that a treasury account has been set up in the French National Bank which Dassault Aviation and MBDA France do not have access to. India makes payments into this account which is operated by the French government and an amount is released to the companies based on a joint decision taken by the Indian and French teams depending on the work finished at a given moment. Under the terms of the IGA signed between India and France in Delhi on 23 September 2016, Dassault is the supplier of the Rafale aircraft package while MBDA France is the supplier of the weapons package to the Indian Air Force. The Hindu report said official documents available with it suggest that the Defence Acquisition Council (DAC) chaired by the then defence minister Manohar Parrikar met in September 2016, and “ratified and approved” eight changes in the IGA, supply protocols, offset contracts and offset schedules — including the penalty and company accounts clauses. This was done after the IGA and associated documents had been approved by the Cabinet Committee on Security, chaired by Prime Minister Narendra Modi, on 24 August 2016. The daily added that this direct dealing with commercial suppliers, “under cover of an IGA,” was highlighted in a detailed note of dissent signed by three members of the Indian Negotiating Team — M.P. Singh, Adviser (Cost), A.R. Sule, Financial Manager (Air), and Rajeev Verma, Joint Secretary and Acquisitions Manager (Air). As one had submitted a couple of days back, this is a “ hybrid “ deal, a blend of what is designated G to G but where the IAF for all practical purposes is dealing with Dassault, as it has done for at least forty years. Hopefully, the CAG will examine the various facets and give its definitive findings and conclusions.